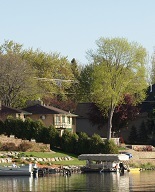 Lake Restoration - Lake weed treatment services. One of the easiest ways for you to treat your lake area for weeds is to have Lake Restoration do it for you! We service individual homeowners as well as large areas for lake associations and other groups. Two treatments are made during the summer. Trained inspectors document lake information and weed species prior to each treatment, and design a customized treatment for your lake shore. Optional treatments include swimmers itch. Alum treatments are also available. Learn more about alum treatments now. Please call us at (763) 428-9777 or toll free at (877) 428-8898 for service availability, program options and price. Order right away to allow time for the DNR permit process.